Ms. Foster has jumped in with PBL this year and she has supported her students in thinking BIG for their projects. Ms. Foster’s first answer to her students' ideas is almost always "yes," even when sometimes it's going to mean a lot more work! Ms. Foster always gives her all to the students of Riverwalk- from PBL in the classroom to after school track. Ms. Foster has been an amazing addition to the Riverwalk community! Ms. Foster is an incredible teacher! Throughout this year she cultivated relationships with her students which allow them to succeed in life beyond the classroom. Recently, Ms. Foster saw an interest her students had and ran with it. The result is an incredible lock-in PBL with real life meaning. Her passion, dedication, and drive are inspiring and something we should all aspire to! 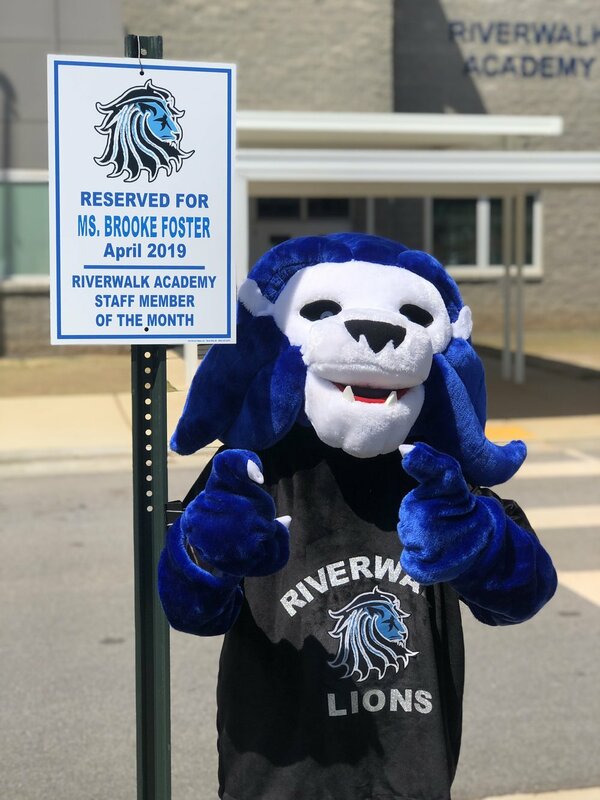 For being selected as the April 2019 Staff Member of the Month, Ms. Foster will be given her own parking spot for the month and she’ll also be recognized during the April Board meeting..
Congratulations Ms. Foster for being one of the reasons #WhyRiverwalk. Mrs. Crimm is a super hero helping to support everyone in the elementary school. She comes in with a positive attitude ready to serve wherever she is needed. Because of her, she makes our school successful. I love that she is a kind, friendly and supportive. No matter what, she always greets people with a smile and shows everyone respect. She is someone I admire and grateful that I know. 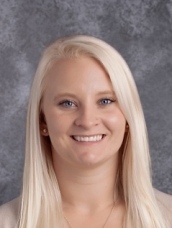 For being selected as the February Staff Member of the Month, Ms. Crimm will have her very own parking spot for the month and will be recognized publicly during the February Board meeting. Congratulations Ms. Crimm for being one of the reasons #WhyRiverwalk. Mrs. Griffith is always willing to help others. She is passionate about helping students create beautiful pieces of artwork to hang around our school to display and also showcasing it in the online portfolios. She spends countless hours preparing things for students , filing artwork, preparing for the art show in the Spring or having students make pieces for the winter showcase and also the rock garden outside at the flag poles. Her passion shines through each piece of artwork and painting she does at the school whether it be a mural or individual piece from a student. It’s a pleasure to see all that she helps students express through their art. Ms. Griffith is a wonderful art teacher. She is enthusiastic and loves what she does. Her lessons are fun and my student's enjoy going to her class. For being selected as the January Staff Member of the Month, Ms. Griffith will have her very own parking spot for the month and will be recognized publicly during the January Board meeting. Congratulations Ms. Griffith for being one of the reasons #WhyRiverwalk. 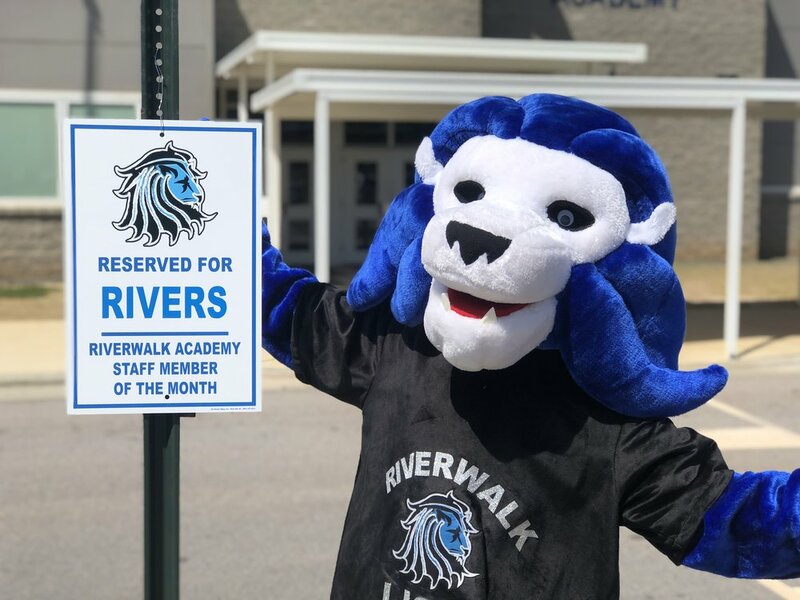 While Mr. Otis is not technically "on staff," his actions are the epitome of those of a Riverwalk Academy staff member. Not only does he provide support in areas greater than "traditional custodial work," but his integrity is unmatched. Mr. Otis takes much pride in his work and he recognizes that a clean building has a positive impact on the overall climate of the school. Furthermore, he takes time to recognize staff, teams, and students when they have gone out of their way to "model the way" for others. Mr. Otis even came in on his day off work on several building-related items. He always has a smile on his face and his smile is contagious to the staff, students, and even the parents. I strongly feel that Mr. Otis should receive this award because he is always so positive. He is so kind to both the students and the staff. I love that he never cringes at anything that he may see. My kids and I absolutely love and appreciate every single thing that he does for us. We can always count on him to take care of our trash before it fills up. We can also always count on him when our little ones have "accidents" and are in need of help to clean up the mess. I appreciate that he approaches every situation in a positive manner. 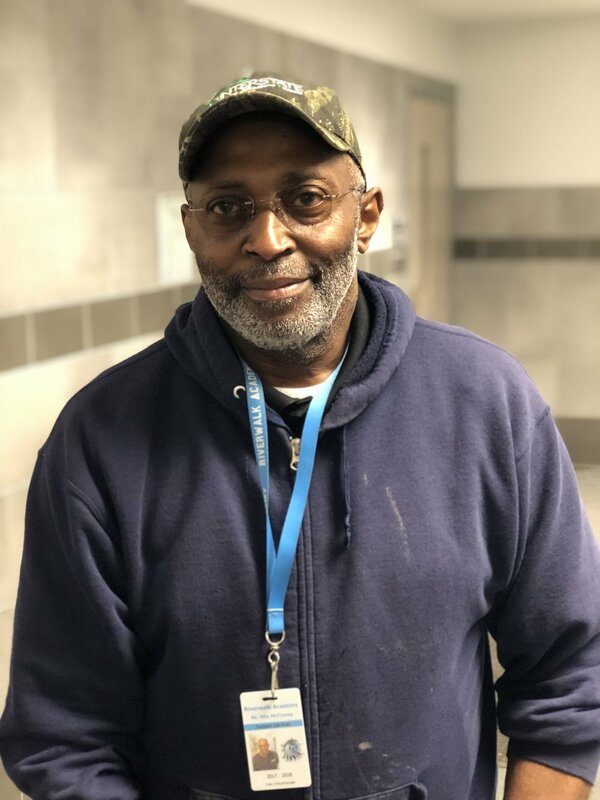 The committee who runs the Staff Member of the Month program felt so strong about this nomination, they created the special award to recognize Mr. Otis. For being selected as the December Staff Member of the Month, Ms. Mabey will have her very own parking spot for the month. Congratulations Ms. Mabey for being one of the reasons #WhyRiverwalk. I think Ms. Bowman should be staff member of the month for being supportive. Ms. Bowman is always willing to lend a helping hand and often goes out of her way if she knows you need help. I have seen several new teachers come to Ms. Bowman for support and with a smile on her face she gives them guidance. Ms. Bowman has done a wonderful job welcoming her new teammates to the Riverwalk family. For being selected as the September Staff Member of the Month, Ms. Bowman will have her very own parking spot for the month. Congratulations Ms. Bowman for being one of the reasons #WhyRiverwalk. Mandy should have this award because she gives a 10 out of 10 every day. She pushes me and our students to be the best we can be. She is patient, kind, and she brings so much out of her students. Every day, no matter how she feels, she gives these kids a 10 out of 10 and it shows by how much they love her. For being selected as the May Staff Member of the Month, Ms. Christman will have her very own parking spot for the month. Congratulations Ms. Christman for being one of the reasons #WhyRiverwalk.